On Saturday, Kyle Busch had a rather interesting day that was filled with him finishing 20th at Bass Pro Shops NRA Night Race in Bristol, but would end on a sour note by nights end. 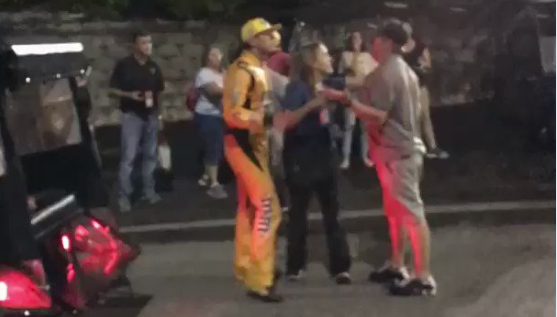 Following the race, Kyle was not a liked man following his bumping of Martin Truex Jr. during the race, and some fans wanted to give him a piece of their minds. Two videos began circulating Saturday night showing a fan saying derogatory things to Busch, with one of them taking it a step further and getting in his face after Busch got off a golf cart to confront the heckling fan.